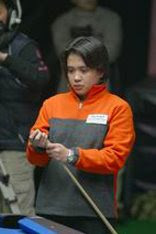 In the recently concluded 10-ball World Champion, a Filipina named Rubilen Amit emerged victorious. She defeated two-time world champion Liu Shin-mei of Chinese Taipei. Amit bested 48 other tough cue women players from around the globe to win the prestigious event presented by JBETpoker.net, Dragon Promotions and Bugsy Promotions, held at the Block at SM North in Quezon City. Amit earned the $20,000 top prize at stake in the five-day events. That's almost a million! Im super proud with this lady..Now she joins the roster of our billiard champions like Efren 'Bata' Reyes ,Django Bustamante, Alex Pagulayan and Ronnie Alcano. 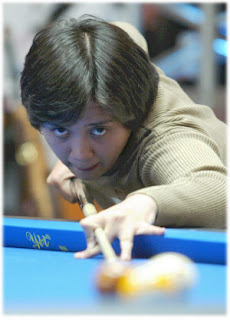 Amit is world's first woman to win the 10-ball title.Mabuhay ang Pinoy!